In a beautiful ball gown from this collection, be regal and elegant. With these formal ballroom dresses, you never have to sacrifice style for the perfect fit and color. 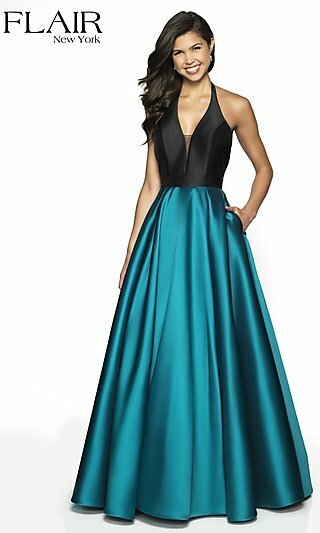 In this selection, you will find all the trendiest styles in formal evening gowns and plus-sized ball gowns in a spectrum of colors. 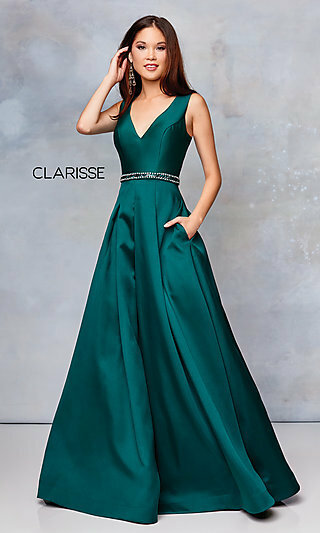 Explore style options like on-trend two-piece ballroom gowns, practical and pretty v-neck ball gowns with pockets, classy high-neck formal gowns, and stunning plus-size long evening dresses with intricate beading. This women’s formal dress collection features special-occasion gowns for all events, including show-stopping pageant gowns that make you the center of attention. Let your inner fashion queen shine in any of these gorgeous evening gowns. 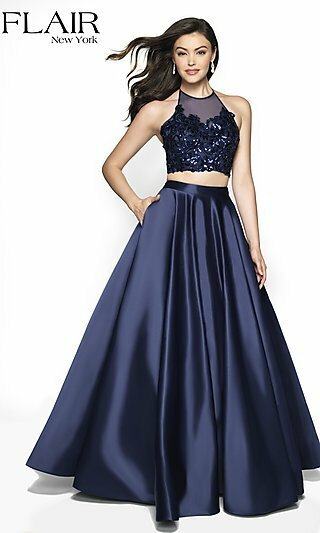 WHERE CAN I FIND THE PERFECT BALL GOWN? 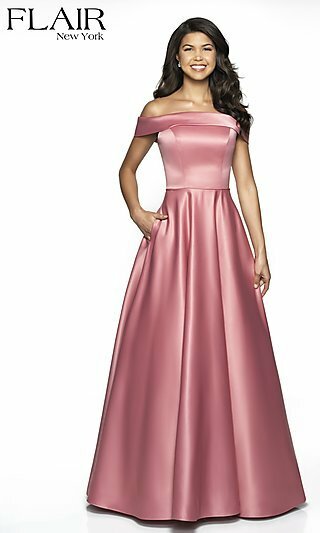 Choose a gorgeous ball gown from Simply Dresses’ collection for your next charity gala, military ball, pageant, or black-tie wedding. In a variety of styles and shades, these gorgeous ballroom gowns can help you achieve any impression you want to make. Contemporary-style evening gowns with cut outs and illusion panels or classic formal ball gowns with extravagant tulle skirts, lavish beading, and lace accents will create the perfect effect for any special occasion. For moments when you’ll be in the spotlight, the perfect ball gown is crucial. A champion pageant evening dress could be an enchanting ball gown with a satin skirt and sweetheart neckline. Attending a formal gala? 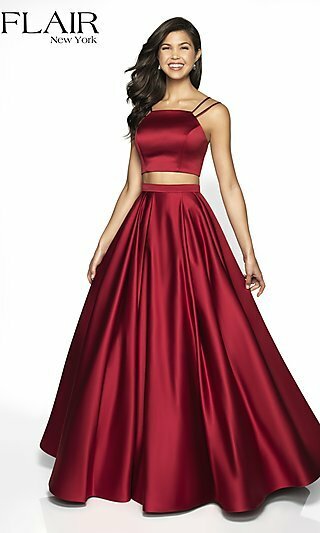 A trendy two-piece ball gown with a lace top or a classy off-the-shoulder satin evening gown can set the vibe for a fabulous event. Whatever the occasion may be, make it yours and make it brilliant in one of these ball gowns.